In 2000, Nico Freccia and Shaun O’Sullivan founded the 21st Amendment Brewery in San Francisco’s historic South Park neighborhood. The popular brewpub is now at the heart of the new city center, just south of the financial district and only two blocks from the San Francisco Giants baseball park. In addition to rotating taps of multiple award-winning hand-crafted house beers, the pub has been voted “Best Brewpub”, “Best Burger” and “Best Happy Hour” by the San Francisco press. What is the 21st Amendment? Around the turn of the 20th century, in the year 1900, there were thousands of small breweries operating across America. When Freccia and O’Sullivan were researching old San Francisco breweries (trying to find a cool name for their new brewery), what really made an impact was the discovery that there were about 40 breweries operating just within the city limits of San Francisco. They realized that the brewery captured the essence of the neighborhoods of San Francisco. They were the local gathering places. Places to exchange ideas, debate politics and philosophy. Places for families to come together on weekends. Places that provided something unique—hand crafted beer that was different at every brewery and that defined the taste of a neighborhood. In 1920, Prohibition wiped out this culture and put the “local” out of business. For 13 years, social interaction was largely driven underground, to the speakeasies, where regular citizens became a nation of outlaws. But with the passage of the 21st Amendment, repealing Prohibition, we, as a society, were able to begin the slow climb back to reclaiming the essence of the neighborhood gathering place. At the 21st Amendment, they celebrate the culture of the great breweries of old, making unique, hand crafted beers, great food, and providing a comfortable, welcoming atmosphere that invites conversation, interaction and a sense of community. Nico manages all operations and business development for the 21st Amendment Brewery beer production and restaurant operations. He comes from a background of more than 25 years in the restaurant and craft beer business as a manager, beer writer and avid brewer and consultant. 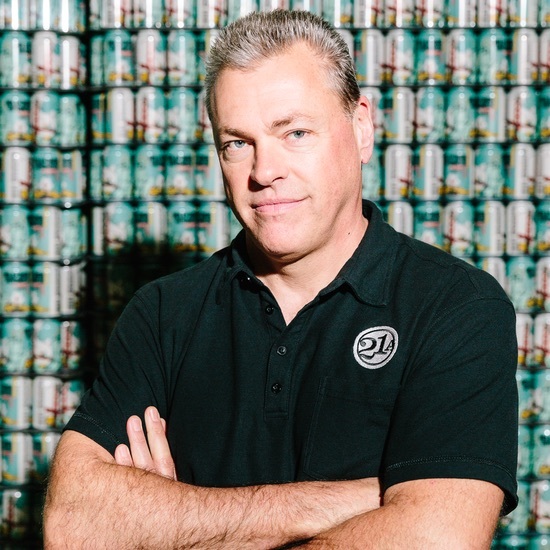 He co-founded the 21st Amendment Brewery with business partner Shaun O’Sullivan in 2000 and has helped grow the business to include a beer production division that is currently one of the Top 50 craft breweries in America. In addition to great craft beer, Nico enjoys an occasional good tequila, cigar and game of Texas Hold ‘em. If you’re ever at a beer festival and see a guy with a big goofy watermelon hat, vest and eyeglasses, that’s Nico. Go say hello. Nico lives in the San Francisco bay area with his wife Dana, a trauma surgeon, two daughters and menagerie of pets. Shaun is the Co-Founder/Brewmaster and heart and soul of the 21st Amendment Brewery beers. Shaun started his brewing beginnings at the great Triple Rock Brewery in Berkeley, CA. He has also brewed in San Francisco at Steelhead Brewery and 20 Tank Brewery. Prior to brewing, Shaun was a photojournalist for a local weekly in Los Angeles shooting political and punk rock club photographs and was once offered a position in the kitchen at Chez Panisse in Berkeley. Has worked as a producer for Cable News Network and as a corporate law clerk at a large New York law firm’s office in Los Angeles. Back then he was in the process of going through the hoops and hurdles of applying to either business school or law school when he jumped ship, traded in his suits for boots and was saved by beer! Hallelujah. He enjoys being a father to his amazing son, loves to travel (does a lot of that), and has perfected pizza on the BBQ. He enjoys his Great Pyrenees dog, Snickers and his cat, Cody. Shaun graduated from the University of California, Los Angeles with a liberal arts degree but don’t hold that against him. Dave serves as President of the brewery and oversees Sales, Marketing, Production, HR, and everything else that needs a-doin. It's not uncommon to see Dave on a forklift in the Warehouse at 6am and clearing glassware in the Tap Room at 6pm that same evening. When it comes to beer, he has pretty much done it all. 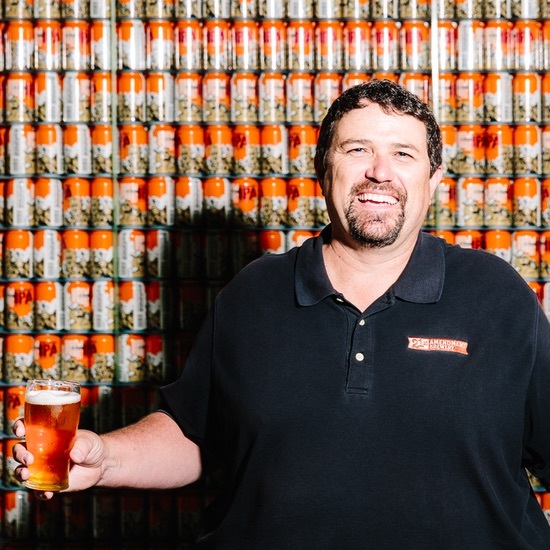 From his early years working with distributors in the Pacific Northwest, Dave eventually stepped into a role as VP of Sales & Marketing at Deschutes Brewery in Bend, Oregon. 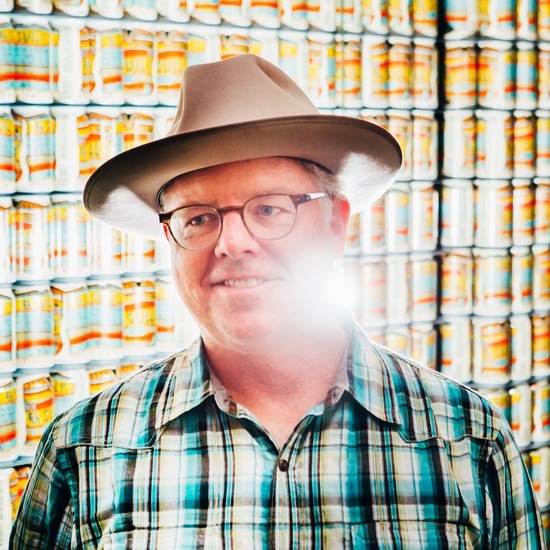 He first joined 21st Amendment Brewery as VP of Sales in 2008 but his entrepreneurial itch took him back to Bend for a venture launching Crux Fermentation Project with renowned former Deschutes Brewmaster, Larry Sidor, and owner of TBD creative agency, Paul Evers, in 2011. He stayed actively involved with 21st Amendment Brewery during that time until we wooed him back to the Bay Area full-time in 2015. Dave enjoys spending time with his wife, Jeane, their five adult children, and growing number of (adorable) grandchildren.